I work on enabling operating systems extend the best possible performance to emerging parallel and multiprogrammed workloads by leveraging the use of hardware performance counters and in-depth understanding the strengths and weaknesses of the underlying hardware architecture. My advisor is Prof.Sandhya Dwarakadas . Below is a brief summary of my career so far. 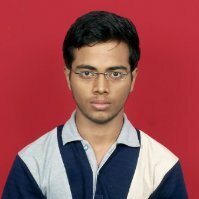 I am Sharanyan Srikanthan and I pursued my undergraduation in Electronics and Communication Engineering in National Institute of Technology, Allahabad, India. At the undergraduate level, I started working on hardware design with a couple of projects in VHDL and later moved on to the more specific field of computer architecture. I have worked on processor simulators, memory hierarchy designs and more recently on parallel and high performance computing. The work mostly comprised of various adapting compute intensive programs for real time application on GPGPUs. I am enthused by the problem of effectively build a good architecture and also in using it using with tailor made, highly optimized programs that interact closely with the underlying hardware and thus extract maximum performance from it. This problem become a bit more complex when using interconnects are involved between various compute nodes with non-uniform memory accesses. Currently, I am working on intelligent scheduling solutions for modern day parallel workloads that have threads competiting for and sharing resources. The aim is to run the right threads together such that they minimize the reduction in performance due to resource contention but also minimize communication over shared data thereby maximizing performance. I worked for two years before joining grad school for pursuing my doctorate in computer science. During this time, I was lucky to get the chance to work with the BrahMos Aerospace, one of the best missile weapon systems India has produced. I was working adapting intensive algorithms on an NVIDIA GPU/FPGA/PowerPC platform so that it could be deployed for real time use. The work was successful and involved restructuring algorithms, build an effective hardware architecture for different types of algorithms while being constrained by time, space and power. Partitioning workload and minimising communication between the various modules in the embedded system added another dimension to the problem. Sharanyan Srikanthan, Arvind Kumar, "An Optimized Checkpointing Based Learning Algorithm for Single Event Upsets", Proc. IEEE International Conference on Computer Software and Applications-2010, Seoul, 19-23 July 2010. Gupta, S.; Sharanyan, S.; Mukherjee, A.;, "Performance analysis of Support Vector Machine as classifier for voiced and unvoiced speech," Proc. IEEE 2010 International Conference on Computer and Communication Technology (ICCCT) 2010, vol., no., pp.397-401, 17-19 Sept. 2010. Srikanthan, S.; Krishnan, V.; Kumar, A.;, "Online accelerated implementation of the Fuzzy C-means algorithm with the use of the GPU platform," Proc. IEEE International Conference on Computer and Communication Technology (ICCCT), 2011, vol., no., pp.385-388, 15-17 Sept. 2011. Srikanthan, S.; Kumar, A.; Krishnan, V.;, "Accelerating the Euclidean distance matrix computation using GPUs," Proc. IEEE International Conference on Electronics Computer Technology (ICECT), 2011, vol.4, no., pp.422-426, 8-10 April 2011. Srikanthan, S.; Kumar, A.; Gupta, R.;, "Implementing the dynamic time warping algorithm in multithreaded environments for real time and unsupervised pattern discovery," Proc. IEEE International Conference on Computer and Communication Technology (ICCCT), vol., no., pp.394-398, 15-17 Sept. 2011. Worked with Defence Institute of Advanced Technology, Advanced Missile Technology, BrahMos Aerospace, Pune. The project was on Real-time implementation of SAR image formation (range and azimuth compression) and the results obtained resulted in speeding up the algorithm by 30-fold and thereby feasible for real time deployment. September 2011 : Interfacing of radar target data with the BrahMos missile system using MIL STD 1553B protocol, BrahMos Aerospace, Hyderabad. Interfacing missile fire control system with active radar link for uploading target information to missile prior to launch. Worked with Prof. Govindarajan, Indian Institute of Science, Bangalore. Restructured algorithm for SIMD architecture of GPUs. Speedup of about 35 times achieved with NVIDIA Tesla C1060 over Xeon processors. Worked with Asst Prof. Arvind Kumar, National Institute of Technology, Allahabad. Fuzzy C-Means, K-Means and Euclidean Distance Matrix were restructured and adapted for real-time execution on GPUs. Reduced branches, more data parallelism, memory access in bursts were objectives for restructuring of algorithm. Algorithm was faster by 40-50 times over state of the dual quad core Xeon processors. Worked under Dr. Shankar Balachandran, IIT Madras. SEU effect on hardware and different instructions was analyzed. Based on analyzed, software was profiled for resilience to SEUs and a dynamic partitioning based checkpoint method was used to eliminate SEUs. Code was analyzed as various graphs (control and data) and integer linear programming was used for dynamic partitioning. Worked with Prof. Ranjini Parthasarathy, Anna University, Madras. Studied the effects of cache and varied various aspects to see the variation in performance of a processor. As a part of this study, I implemented an additional level (3rd Level) of cache and the improvement it can offer. September - December 2009 : A Hybrid Classifier with Linear Predictive Coding and Bayesian, with Bayesian for error classification” in MNNIT, Allahabad. Analyzed performance of various classifiers to classify speech. Introduced a novel idea of an error classifier and achieved an improved classification accuracy of 4% from a previously achieved accuracy of 14%. Worked under Asst Prof. Arvind Kumar, MNNIT, Allahabad. 5 stage deep pipelined processor with 32 basic instructions with control for hazard management and data forwarding. Worked under Asst Prof. Arvind Kumar, MNNIT. Studied various hardware components and hardware design procedures. Implemented a basic DDR SDRAM controller on an FPGA using VHDL.